RenysView/ShutterstockIt’s cross-training for the brain. Reading isn’t just good for learning something new – it’s also excellent for your brain function. Dr. Mark McLaughlin, a neurosurgeon, says that reading books(outside of medicine and school) transformed his life. He says not only does it help you learn how to navigate specific circumstances in a better way, but it also helps the brain’s connectivity. Various studies have found reading can improve parts of the brain related to language and empathy. As I was about to start my own practice as a neurosurgeon, I experienced a transformative moment. It didn’t happen in the OR during a challenging surgery. It happened in a quiet room at home, under the glow of a single lamp. As a kid, and even as a young adult in medical school, I rarely read books other than those required for my studies. I didn’t have the patience. Non-medical reading seemed like a waste of time. My perspective changed in my mid-30s, when I was starting Princeton Brain and Spine Care. Med school didn’t prepare a doc to run a small business, so I had to get up to speed fast. I immersed myself in volumes on management, planning, human resources, accounting, and leadership. My breakthrough book was “Good to Great” by Jim Collins. Then I dove into Malcolm Gladwell’s “The Tipping Point,” which I consider one of the greatest marketing books ever. As I continued consuming volumes on business, I branched out into biographies and fiction. I had finally broken free of the limitations of reading for a specific need. 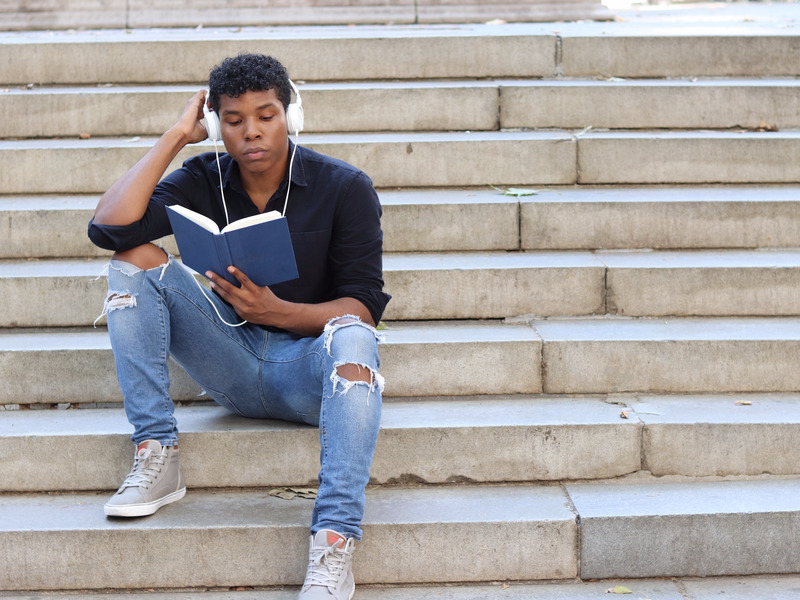 Before long, I realised that books were doing more for me than just instilling knowledge in my brain – they were also improving my communication skills. I became a more attentive listener in meetings with patients and business associates, and more articulate and insightful in my responses. Of course, being a brain guy, I wanted to know how reading books impacted me on a neural level. Clearly, it was affecting my overall thought processes – but perhaps also my brain anatomy. Research on the topic has confirmed this: Reading actually changes the wiring of the brain. 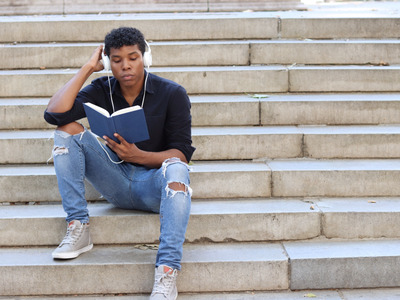 Advances in scanning technology have enabled us to see how reading affects areas of the brain associated with communication. In a 2013 study done at my alma mater Emory University, student volunteers were instructed to read sections of a novel (“Pompeii,” a 2003 thriller based on the eruption of Mount Vesuvius in ancient times) for nine consecutive nights. MRIs taken the morning after revealed an increase in connectivity in the left temporal cortex, an area of the brain associated with receptivity for language. What’s most interesting is that this strengthened language processing was evident even though the subjects weren’t reading at the time of the scan. According to Gregory Berns, the neuroscientist who led the study, this increased connectivity was “almost like a muscle memory.” Imagine how strong these connections become if you read every night! Another MRI analysis by Raymond Mar, a psychologist at York University in Canada, revealed a significant overlap in brain networks that comprehend stories and those involved in trying to understand the thoughts and feelings of others – the basis of empathy. Reading fictional stories apparently makes us better at dealing with real-life people, especially in challenging encounters. I have recognised this benefit in my own life, both in the hospital and in my business dealings. It’s critical for me to handle encounters with patients and their families with tact and understanding. One day I may need to gently persuade an ambivalent patient to undergo an essential operation. On another day, I may have to console parents over the loss of a loved one. Immersing myself in the lives of various characters on the printed page has enhanced my ability to “read” real people in challenging scenarios. Reading on a regular basis has also better equipped me to get colleagues on my side when I need their cooperation and support. In fact, it has enriched all of my social encounters – in business, in coaching wrestling, and with my own family. I’ve come a long way from reading books to become more informed. I clearly see how reading helps me navigate situations that have nothing to do with the topics I’ve read about. It’s cross-training for the brain. And excellent training for life. Being a bibliophile has also helped me better train and engage my employees. For example, I give out copies of “Do No Harm: Stories of Life, Death, and Brain Surgery” by Henry Marsh to my staff and encourage discourse about it at office meetings. It’s filled with inspiring stories relevant to a surgeon’s work and gives my employees a better perspective of what it’s like to be a doctor and a patient. My greatest hope is that my gift of books will land in the hands of people like me: latecomers to serious reading who are grateful to have discovered the wonders of literature. Dr. Mark McLaughlin, M.D., practices neurological surgery at Princeton Brain and Spine Care and believes that we can all apply the core principles behind brain surgery to our daily lives. His mission is to use the lessons he has learned from his career to help others manage stressful situations and engage with problem-solving.